Mission Statement: Our Vision is to embrace our community and strive together for optimal health through the journey of life. Our Passion is to “turn on the power,” to allow the full expression of each individual’s innate intelligence. Our Commitment is to love and serve you from our heart, with compassion. Dr. Dan Thompson grew up in Vancouver, Washington where he attended nearby Evergreen High School. After graduation, he completed his undergraduate work in pre-med from Warner Pacific College. Dr. Dan later attended the fountain head of the chiropractic profession: Palmer College of Chiropractic in Davenport, Iowa, where he met and married his wife Abby. There he received his Doctorate of Chiropractic Medicine & physical rehabilitation, he Graduated with an honors degree for his work in X-ray physiology and diagnosis. Dr. Dan is nationally certified by the National Board of Chiropractic Examiners. 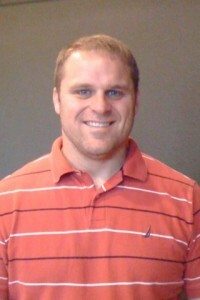 Dr. Dan started Clear Choice Chiropractic in 2001, after practicing with his father in Michigan for a year. Dr. Dan believes in a holistic approach to healthcare. Dr. Dan utilizes his training in Chiropractic, Physical Rehabilitation, and Clinical Nutrition to guide his patients back to optimum health. He emphasizes patient education in his practice in order to empower patients to understand and manage their condition. As a result of his experiences in various clinical settings, Dr. Dan believes in a team approach to healthcare and regularly consults with other Medical Specialists if needed. Dr. Dan enjoys his work as a Chiropractor, on his off time he also enjoys spending time with his wife Abby and his five boys. His hobbies also include Sailing the cool climate of San Diego with his family on their yacht “NAUTI BUOYS”. He also received his pilots license in the fall of 2012, a life long goal that finally materialized. Dr. Katie Graduated from the University of Western States in December 2016 is nationally certified by the National Board of Chiropractic Examiners. She is a compassionate doctor eager to help you achieve optimum health and utilize some of her skills. In her free time she enjoys reading, spending time with friends and family as well as watching movies. She is always working towards furthering her knowledge in her field and strives to keep up to date with the most current information. She is passionate about Chiropractic and looks forward to treat her patients in a holistic way. She has been a valuable part of our clinic for many years prior to chiropractic school, and will make a great addition to our clinic. Dr. Katie is certified in the Webster Technique for pregnant women with advanced education in the treatment of pregnancy and pediatrics through the International Chiropractic Pediatric Association. She is also certified in Rocktape I/II for accidents and sports related injuries. We are excited to welcome Dr. Katie into our clinic. Dr. Jordan Smith Graduated from Palmer College of Chiropractic in Davenport, Iowa and moved here from the mid west. Dr. Jordan is nationally certified by the National Board of Chiropractic Examiners. Though Dr. Jordan is new to us he has been practicing locally for over a year. We want to thank Dr. Jordan for joining our practice, he is located in our Brush Prairie location.